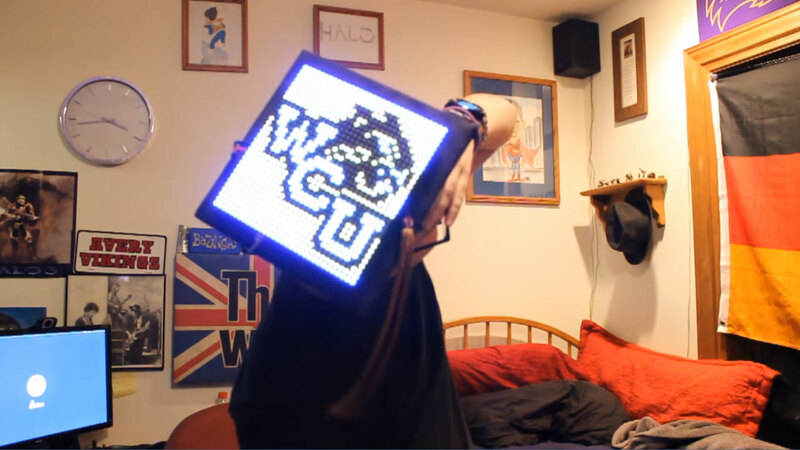 Western Carolina University Student’s Animated 32×32 LED Graduation Cap #Arduino @WCU « Adafruit Industries – Makers, hackers, artists, designers and engineers! My college graduation cap featuring a 32×32 LED array, an Arduino Mega, three SPDT switches, 2000 mAh Li-Ion battery, lots of wire, and lots of code. There are a few more details of the build with bill of materials here on imgur. 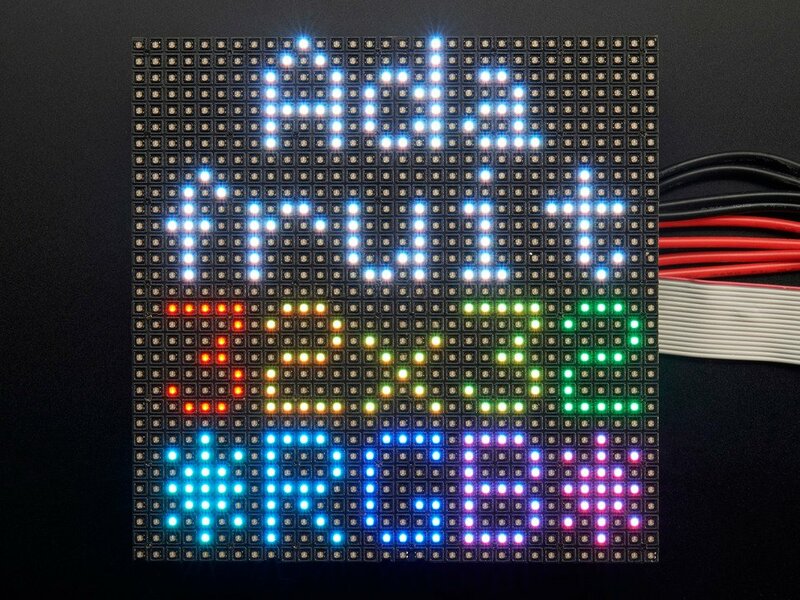 32×32 RGB LED Matrix Panel – 4mm Pitch: Bring a little bit of Times Square into your home with this totally adorable 5 inch square 32 x 32 RGB LED matrix panel. These panels are normally used to make video walls, here in New York we see them on the sides of busses and bus stops, to display animations or short video clips. We thought they looked really cool so we picked up a few boxes of them from a factory. They have 1024 bright RGB LEDs arranged in a 32×32 grid on the front with 4mm grid spacing. On the back there is a PCB with two sets of dual IDC connectors (two input, two output: in theory you can chain these together) and 12 16-bit latches that allow you to drive the display with a 1:16 scan rate. Read more.